David Oyelowo is “mesmerizing” (Kenneth Turan, Los Angeles Times) as Dr. King and leads an outstanding ensemble cast including Academy Award nominee Oprah Winfrey1, Academy Award nominee Tom Wilkinson2, Academy Award winner Cuba Gooding, Jr.3, Academy Award nominee Tim Roth4, Grammy(R)-winning artist Common5, Giovanni Ribisi, Carmen Ejogo, and Lorraine Toussaint. 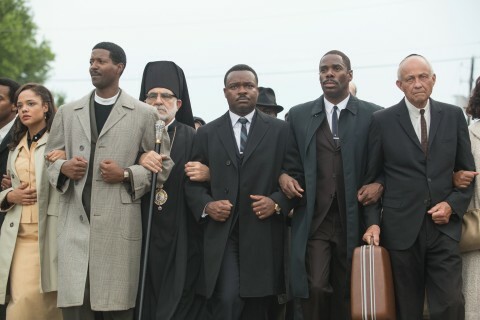 SELMA will be available in a Blu-ray Combo Pack with UltraVioletTM that includes an in-depth exploration of the making of the film, historical newsreels, a video for the Academy Award-winning song “Glory,” featuring John Legend and Common, commentary by director Ava DuVernay and actor David Oyelowo, a photo gallery and more. Paramount Pictures, Path’e and Harpo Films present a Plan B/ Cloud Eight Films/Harpo Films Production in Association with Ingenious Media, an Ava DuVernay film “SELMA.” Executive produced by Brad Pitt, Cameron McCracken, Nik Bower, Diarmuid McKeown, Ava DuVernay, Paul Garnes, and Nan Morales. Produced by Christian Colson, Dede Gardner, Jeremy Kleiner, and Oprah Winfrey. Written by Paul Webb. Directed by Ava DuVernay. “ACADEMY AWARD(R)” and “OSCAR(R)” are registered trademarks and service marks of the Academy of Motion Picture Arts and Sciences.